When Willie arrives in Indian Territory, she knows only one thing: no one can find out who she really is. To escape a home she doesn't belong in, she assumes the name of a former classmate and accepts a teaching position at the Cherokee Female Seminary. Nothing prepares her for what she finds. Her pupils are the daughters of the Cherokee elite--educated and more wealthy than she--and the school is cloaked in mystery. A student drowned in the river last year, and the girls whisper that she was killed by a jealous lover. Willie's room is the very room the dead girl slept in. The students say her spirit haunts it. Willie doesn't believe in ghosts, but when strange things start happening at the school, she isn't sure anymore. She's also not sure what to make of a boy from the nearby boys' school who has taken an interest in her--and whose past is cloaked in secrets. 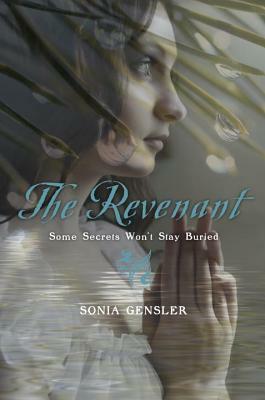 Soon, even Willie has to admit that the revenant may be trying to tell her something. . . .
SONIA GENSLER grew up in a small Tennessee town and spent her early adulthood collecting impractical degrees from various Midwestern universities. A former high school English teacher, she now writes full-time in Oklahoma. The Revenant is her first novel. "Gensler makes a solid debut with an eerie and suspenseful work of historical fiction in which everyone is a murder suspect. In the summer of 1896, 17-year-old Willie heads west from Tennessee when she discovers that her mother wants her to return home from school to a life of household drudgery. Willie steals her classmate's identity and accepts a position as an English teacher at the Cherokee Female Seminary in "Indian Territory," teaching girls no younger than she. The school is the opposite of what she expects: elite, challenging, and allegedly haunted by the spirit of a girl who drowned one year earlier. Willie immediately has her hands full dealing with the snobbish Bell cousins and an unforgiving principal, hiding her past (and her crush on a student), and deciphering the ghost's increasingly violent actions. The layers of detail address the complex social structure of the period, and Gensler's characters and dialogue are believably crafted. Readers should be drawn in by the mystery and moved by Willie's struggles to fit in and negotiate her independence." "When Willie is summoned from boarding school to help at home in 1896, she instead runs away to Indian Territory, assuming the identity and teaching post of a girl who is about to reject the job. Though Willie has not completed her own schooling, she knows that her experience will be ample for teaching at the Cherokee Female Seminary. But she finds that the students are much more cultured and educated than she expected, frequently outpacing her both socially and intellectually and challenging her teaching and interpersonal skills. Also testing her resolve are mysterious noises and sights, purportedly caused by the ghost of a lovelorn student who drowned and seems to be seeking justice—or revenge. This first novel effectively covers a good deal of ground: race and class issues, history, and a compelling ghost and love story are all entwined as plot points are teased out a bit at a time. The uncommon setting and time period add to the appeal, and an author’s note details the factual basis for the characters, issues, and story." "This debut presents an intriguing look at a little-known piece of American history . . . the well-drawn characters and suspenseful plot should keep readers fully engaged." "Stunningly taut and entirely compelling, this blend of historical fiction, supernatural mystery, and romance will please fans of Jennifer Donnelly and Saundra Mitchell . . . Willie is a headstrong but tremendously flawed protagonist, and her status as both a hero and a liar, even at the close of the book, will make for some interesting discussion."